So you are looking for a tyre with excellent all-round qualities? You ride a classical scooter and want a tyre that suits your pride and joy technically as well as visually? Then the Continental Zippy 3 is the perfect choice for you. 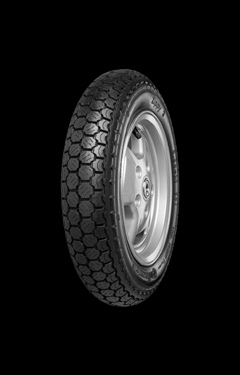 With its block type tread the Zippy 3 is a development of the hugely popular K 62. Some of the remarkable features of this extremely economic tyre are its optimum handling characteristics and all-round qualities that were confirmed by the testers of “Motorroller” (Vol. 2/1996).